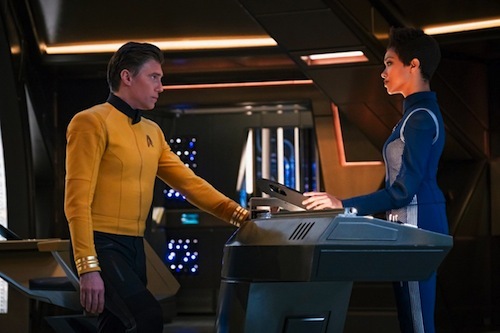 Star Trek: Discovery has been renewed for a third season, which is fantastic news given how much fun the prequel series is with Captain Pike (Anson Mount) at the helm. Mount's portrayal is rapidly becoming my favourite incarnation of the legendary character. Michelle Paradise (The Originals, Hart of Dixie) will serve as co-showrunner along with producer Alex Kurtzman. As part of a multi-year deal, Kurtzman is overseeing an expansion of the franchise on CBS All Access including a Section 31 spin-off starring Michelle Yeoh and a Jean-Luc Picard series with Sir Patrick Stewart reprising his iconic role. 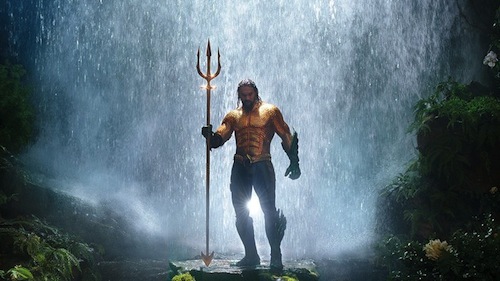 Despite Discovery's troubled production history, the spin-off is garnering a new generation of fans and has piqued my interest in a way I never thought would be possible. New episodes of Discovery's second season are available from Friday on Netflix outside the US. 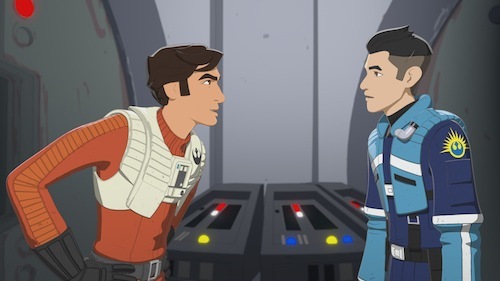 Disney has renewed Star Wars Resistance and Nick Smith takes a look at the inaugural season to see whether or not it rises to the legacy of The Clone Wars and most recently Star Wars Rebels? A bird wheels across the sky, the elegant sound of its beating wings drowned by the sound of a mightier flying thing – a First Order TIE fighter, patrolling the beleaguered refuelling platform Colossus on the remote world of Castilon. Under this sky works a tight-knit crew of pilots and mechanics led by Jarek Yeager, owner of a repair shop on the platform. 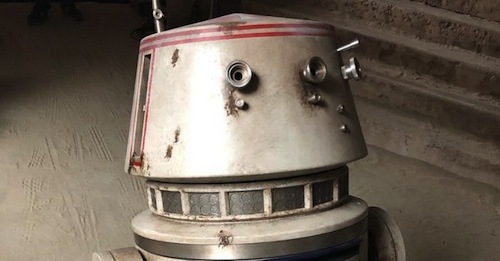 His likeable team includes Tam, Neeku and Bucket the cobbled-up droid. They live a life of seat-of-the-pants racing in this Disney cartoon with a Miyazaki-lite look and heaps of charm thanks to the impulse drive of Dave Filoni, director of The Clone Wars animated feature alongside other Star Wars adventures including Star Wars Rebels and Forces of Destiny. Like Clone Wars, Resistance fills a gap in the Star Wars saga, this time between Return of the Jedi and The Force Awakens. 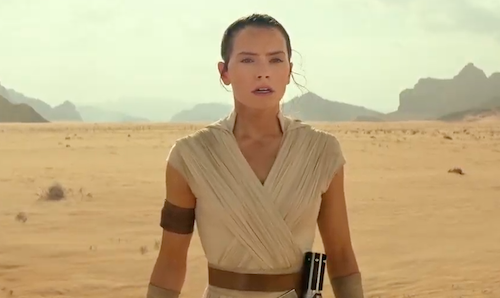 It’s set about six months before Finn meets Rey. The main character is Kazuda Xiono (AKA Kaz, played by Chris Sean), a bumbling young pilot whose goofiness is matched by his idealism. He wants to become a part of the Resistance against the fascist First Order, so when he’s recruited by Poe Dameron he hyperjumps at the chance to be a rebel spy. Look beyond the simple CGI animation and trite plots and you’ll find a fun adventure series that is better at being silly (the too-literal Neeku, Kaz’s good-natured gawkiness) than space operatics. The thrills of Star Wars’ best movie moments aren't there but in their place are solid, dependable characters and situations that are surprisingly watchable. It’s galactic bubblegum with a nostalgic flavor – the TIE fighters, blaster battles and splintered echoes of the movies: in The New Trooper, Kaz has umm… communication problems as he disguises himself as a Stormtrooper; in the next episode, The Core Problem, Poe feels like he’s being watched a la Luke Skywalker in The Empire Strikes Back. Kaz has the most fleshed-out character. He is not a perfect hero. He gets scared, makes mistakes and breaks rules. He has an arc ripe for development. Other characters, like the teenaged Torra Doza, exist to further plots, such as her attempted kidnap in The Doza Dilemma. The green (in more ways than one) Neeku is kept around for comic relief. Captain Phasma (voiced by original actress Gwendoline Christie) cameos because she’s cool, but doesn’t present much of a threat. It’s always good to see Poe Dameron (Oscar Isaac), who provides a laconic role model for Kaz; the most poignant appearance is made by Leia Organa (Carolyn Hennessy), who has some witty dialogue with Poe. Kaz’s picaresque adventures include banter with BB-8, dogfights, a friendship with a turncoat space pirate, video gameplay, and a hilarious encounter with a salacious horde of Kowakian monkey-lizards. Kaz’s secret missions with Poe make the strongest episodes, heralding more Trilogy-type epics ahead. As you might have guessed, the emphasis is on lighthearted entertainment. Look for cosmic complexity and you’ll be disappointed. 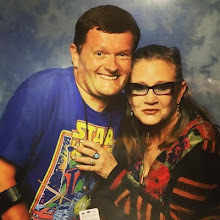 My advice is to sit back, enjoy the Stormtrooper slapstick and join Kaz on his Outer Rim joyride. Who knows where it might lead? 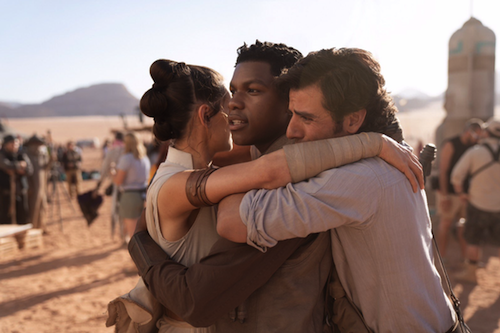 Director JJ Abrams (The Force Awakens) announced last Friday that the final instalment of the Skywalker saga had finished filming in an emotional tweet that featured a photo of cast members Daisy Ridley (Rey), John Boyega (Finn) and Oscar Isaac (Poe Dameron) in a poignant embrace on set. John Boyega, who plays Finn, a rogue First Order Stormtrooper who joined the Resistance in the sequel trilogy, also commemorated the occasion by sharing the same image to his followers on social media. 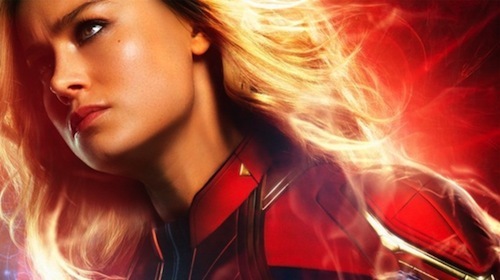 Rumours suggest the teaser trailer and title will drop alongside Captain Marvel in March. Star Wars: Episode IX will be in cinemas this December. 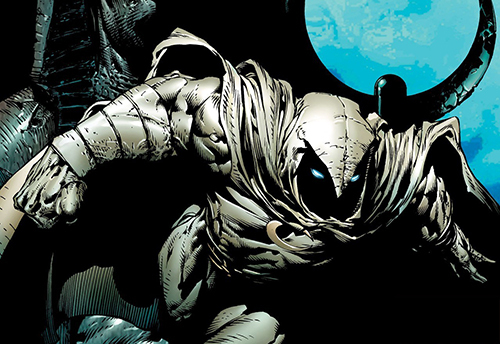 Cult superhero Moon Knight, analogous to DC Comics' Batman, has yet to grace the Marvel Cinematic Universe (MCU). This non-profit fan film, from Paradox Studios, should keep fans satiated until then. "Marc Spector is a man who's been shattered into 4 separate identities who come together to become the hooded crusader of vengeance: The Moon Knight." What did you think of the Moon Knight fan film? Let me know in the comments below. If you have a Marvel fan film you'd like to share, please contact me. As expected, there was no teaser trailer for Star Wars: Episode IX during the Super Bowl. However, Disney stablemate Marvel Studios was in full force. 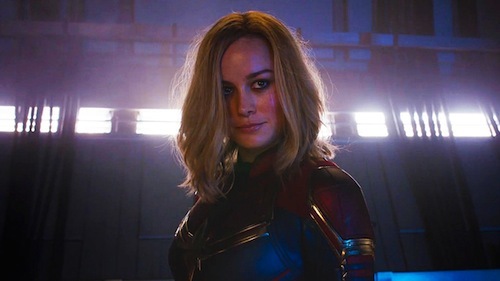 New TV Spots dropped for Captain Marvel and Avengers: Endgame. 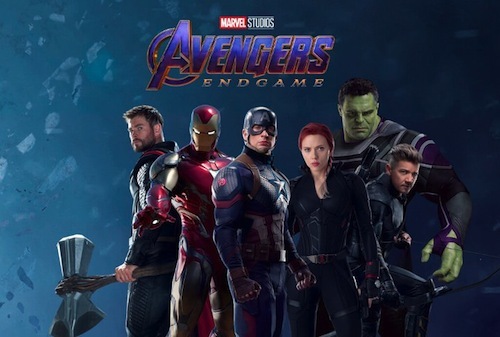 Captain Marvel and Avengers: Endgame will be in cinemas March and April respectively.